(1) To provide a means for the payment of covered claims under certain property and casualty insurance policies, to avoid excessive delay in the payment of such claims and to avoid financial loss to claimants or policyholders as a result of the insolvency of an insurer. (2) To assist in the detection and prevention of insurer insolvencies. 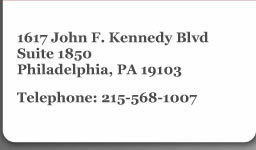 (3) To provide for the formulation and administration by the Pennsylvania Property and Casualty Insurance Guaranty Association of a plan of operation necessary to effectuate the provisions of this article. 1994, Dec. 12, P.L. 1005, No. 137, § 1. "Account." Either of the two accounts provided for under section 1808(a)1. "Association." 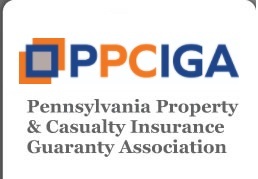 The Pennsylvania Property and Casualty Insurance Guaranty Association. (ii) the property from which the claim arises is permanently located in this Commonwealth. (2) The term shall not include any amount awarded as punitive or exemplary damages; sought as a return of premium under any retrospective rating plan; or due any reinsurer, insurer, insurance pool or underwriting association as subrogation recoveries or otherwise. 3) The term shall not include any first-party claim by an insured whose net worth exceeds twenty-five million ($25,000,000) dollars on December 31 of the year prior to the year in which the insurer becomes an insolvent insurer: Provided, that an insured's net worth on that date shall be deemed to include the aggregate net worth of the insured and all of its subsidiaries as calculated on a consolidated basis. "Exhaust." The term, with respect to other insurance, means obtaining the maximum limit under the policy. The term, with respect to another insurance guaranty association or its equivalent, means obtaining the statutory limit of recovery or a final judgment from a court of competent jurisdiction determining the amount of the claim payable by the other insurance guaranty association or its equivalent. "Insolvent insurer." An insurer licensed to transact insurance in this Commonwealth, either at the time the policy was issued or when the insured event occurred, and against whom an order of liquidation with a finding of insolvency has been entered after the effective date of this article by a court of competent jurisdiction in the insurer's state of domicile or of this Commonwealth and which order of liquidation has not been stayed or been the subject of a writ of supersedeas or other comparable order. "Insurer" or "member insurer." Any insurance company, association or exchange which is licensed to write and is engaged in writing within this Commonwealth, on a direct basis, property and casualty insurance policies. "Net direct written premiums." Direct gross premiums written in this Commonwealth on property and casualty insurance policies, including policies issued to self-insurers, whether or not designated as reinsurance contracts, less return premiums thereon and dividends paid or credited to policyholders of such policies, but does not include premiums on contracts between insurers or reinsurers. "Person." An individual, a corporation, a partnership, an association or any other holder of or claimant under a property and casualty insurance policy. (1) Life, annuity, health or disability insurance. (2) Mortgage guaranty, financial guaranty or other forms of insurance offering protection against investment risks. (3) Fidelity or surety bonds or any other bonding obligations. (4) Credit insurance, vendors' single interest insurance or collateral protection insurance or any similar insurance protecting the interests of a creditor arising out of a creditor-debtor transaction. (5) Insurance of warranties or service contracts. (8) Any transaction or combination of transactions between a person, including affiliates of such person, and an insurer, including affiliates of such insurer, which involves the transfer of investment or credit risk unaccompanied by transfer of insurance risk. (10) Workmen's compensation and employer's liability insurance. 1994, Dec. 12, P.L. 1005, No. 137, s 1; 1995, Dec. 21, P.L. 714, no. 79, § 15, eff. 2-19-96. 1 40 P.S. § 991.1808(a). 2 40 P.S. § 382. (a) Every insurer shall participate in the Pennsylvania Property and Casualty Insurance Guaranty Association, as hereinafter described, as a condition of its authority to write property and casualty insurance policies within this Commonwealth. (A) An amount not exceeding ten thousand ($10,000) dollars per policy for a covered claim for the return of unearned premium. (B) An amount not exceeding three hundred thousand ($300,000) dollars per claimant for all other covered claims. (ii) In no event shall the association be obligated to pay a claimant an amount in excess of the obligation of the insolvent insurer under the policy or coverage from which the claim arises. Notwithstanding any other provisions of this article, a covered claim shall not include any claim filed with the association after the final date set by the court for the filing of claims against the liquidator or receiver of an insolvent insurer. (2) To be deemed the insurer to the extent of its obligation on the covered claims and, to such extent, shall have all rights, duties and obligations of the insolvent insurer as if that insurer had not become insolvent. (1), the expenses of handling covered claims, the cost of examinations under sections 1805 and 1812(a)(3)4 and other expenses authorized by this article. (4) To investigate claims brought against the association and adjust, compromise, settle and pay covered claims to the extent of the association's obligation and deny all other claims, and may review settlements, releases and judgments to which the insolvent insurer or its insureds were parties to determine the extent to which such settlements, releases and judgments may be properly contested. (5) To give such notice as the commissioner may direct under section 1812(b)(1)5. (6) To handle claims through its employes or through one or more of its member insurers which agrees to do so or through other persons designated with the prior approval of the commissioner as servicing facilities. (7) To reimburse each servicing facility for obligations of the association paid by the facility and for expenses incurred by the facility while handling claims on behalf of the association and pay such other expenses of the association as are authorized by this article. (8) To notify the commissioner of any information indicating any member insurer may be insolvent or in such condition that its further transaction of business will be hazardous to its policyholders, to its creditors or to the public. (9) Within ninety (90) days of the conclusion of any insurer insolvency in which the association was obligated to pay covered claims, to prepare a report on the history and causes of such insolvency based on the information available to the association and submit such report to the commissioner. (1) Employ or retain such persons as are necessary to perform the duties of the association. (2) Borrow funds necessary to effect the purposes of this article in accordance with the plan of operation approved by the commissioner pursuant to section 18046. (4) Negotiate and become, with the prior approval of the commissioner, a party to such contracts as are necessary to carry out the purposes of this article. (5) Request that the commissioner order an examination of any member insurer which it in good faith believes may be in such condition that its further transaction of business will be hazardous to its policyholders, to its creditors or to the public. (6) Make reports and recommendations to the commissioner upon any matter germane to the solvency, liquidation, rehabilitation or conservation of any member insurer. Such reports and recommendations shall not be considered public documents. (7) Make recommendations to the commissioner for the detection and prevention of insurer insolvencies. (8) Perform such other acts as are necessary or proper to effectuate the purposes of this article. (d)(1) Within ninety (90) days following the effective date of this article, the association shall submit to the commissioner for his review a proposed plan of operation which shall provide for the fair, reasonable and equitable administration of the association, consistent with the purposes and provisions of this article. (2) The plan of operation shall be subject to and take effect upon approval by the commissioner. If the commissioner disapproves the proposed plan of operation, the association shall, within such period of time as shall be specified by the commissioner, submit for review an appropriately revised plan of operation. If the association fails to do so or if the revised plan so filed is unacceptable, the commissioner shall promulgate a plan of operation. (e)(1) The association shall be governed by a board of seven directors, serving terms as established in the plan of operation. The members of the board shall be selected by the member insurers, subject to the approval of the commissioner. (2) Any vacancy on the board shall be filled for the remaining period of the term in the same manner as the initial selections. (3) If the member insurers fail to select the required number of directors within thirty (30) days after the effective date of this article or if a vacancy remains unfilled for more than fifteen (15) days, the commissioner may appoint the directors necessary to constitute a full board. (4) In approving selections for the board, the commissioner shall consider among other things whether all member insurers are fairly represented. (5) Members of the board may be reimbursed from the assets of the association for reasonable expenses incurred by them as such members. 1994, Dec 12, P.L. 1005, No. 137, § 1; 1995, Dec. 21, P.L. 714, No. 79, § 15, eff. 2-19-96. 3 40 P.S. §§ 991.1808 - 991.1811. 4 40 P.S. §§ 991.1805, 991.1812(a)(3). 5 40 P.S. § 991.1812(b)(1). 6 40 P.S. §§ 991.1804. (1) Procedures for handling assets of the association. (2) Procedures by which claims may be filed with the association and the specification of acceptable forms of proof of covered claims. (3) Procedures for records to be kept of all financial transactions of the association. (b) The plan of operation may provide that any or all powers and duties of the association except those provided under section 1803(b)(3) and (c)(2) may be delegated to a corporation, association or other organization which performs or will perform functions similar to those of the association or its equivalent in two or more states. Such a corporation, association or organization shall be reimbursed on the same basis as would a servicing facility and shall be compensated for the performance of any other functions delegated to it by the association. Any delegation under this subsection shall take effect only upon the approval of both the board of directors and the commissioner and may be made only to a corporation, association or organization which extends protection not substantially less favorable and effective than that provided by this article. (c) The plan of operation may be amended by the association, subject to prior approval by the commissioner, or, at the direction of the commissioner, the association shall amend the plan of operation. 7 40 P.S. § 991.1803. The operations of the association shall at all times be subject to the supervision and regulation of the commissioner. The commissioner or any person designated by him shall have the power of visitation of and examination into such operations at any time in the discretion of the commissioner. In connection therewith, the commissioner shall have the powers granted to him by section 216 of the act of May 17, 1921 (P.L. 789, No. 285), known as "The Insurance Department Act of 1921,"8 and the expenses of such examination shall be borne and paid as in that section. 8 40 P.S. § 54. The association shall file with the commissioner, not later than March 30 of each year, a statement which shall contain information with respect to its condition, operations and affairs during the preceding year. This statement shall contain such matters and information as are prescribed by the commissioner, who may at any time require the association to furnish him with additional information with respect to its condition, operations and affairs or any matter connected therewith which he considers to be material and which will assist him in evaluating its operation. 1994, Dec 12, P.L. 1005, No. 137, § 1. The association shall be exempt from the payment of all fees and all taxes levied or assessed by the Commonwealth or any of its political subdivisions except taxes upon the real or personal property of the association. (a) For purposes of assessment, the association shall be divided into two accounts: (1) an automobile or motor vehicle insurance account; and (2) an account for all other insurance to which this article applies. Subsequent to an insurer having been determined to be an insolvent insurer, the association shall allocate between the two accounts and assess member insurers separately for each account such amounts as are necessary for the purpose of paying the obligations of the association under section 1803(b)(1)(i) and the expenses of handling covered claims of the insolvent insurer. The association shall also assess member insurers for the expenses of examinations under sections 1805 and 1812(a)(3) and for any other expenses authorized by this article. (b) The assessments of each member insurer shall be in the proportion that the net direct written premiums of the member insurer for the preceding calendar year on the kinds of insurance in an account bears to the aggregate net direct written premiums of all member insurers for the preceding calendar year on the kinds of insurance in such account. (c) Each member insurer shall be notified of any assessment not later then thirty (30) days before it is due. (d) No member insurer may be assessed in any year on an account an amount greater than two per centum (2%) of that member insurer's net direct written premiums for the preceding calendar year on the kinds of insurance in the account. (e) If the maximum assessments of all member insurers on an account, together with the other assets of the association in the account, do not provide in any one year an amount sufficient to meet all obligations of the association under that account, the funds available shall be prorated among such obligations, and the unpaid portions of the same shall be paid as soon thereafter as funds become available. (f) The association may, in whole or in part, exempt from assessment any member insurer or defer the assessment of any member insurer if the assessment would cause the member insurer's financial statement to reflect amounts of capital or surplus less than the minimum amounts required for a certificate of authority by any jurisdiction in which the member insurer is authorized to transact insurance. 1994, Dec. 12. P.L. 1005, No. 137, § 1. The association may refund to its member insurers in proportion to the contribution of each to an account of the association that amount, if any, by which the assets of the account at the end of any calendar year exceed its estimated liabilities for the coming year. The rates and premiums charged by a member insurer for policies to which this article applies shall appropriately reflect assessments paid to the association by the member insurer less any amounts returned to the member insurer by the association. 9 40 P.S. § 50. (1) Notify the association of the existence of an insolvent insurer not later than three (3) days after he receives notice of the determination of the insolvency. The association shall be entitled to a copy of any complaint seeking an order of liquidation with a finding of insolvency against a member company at the same time that such complaint is filed with a court of competent jurisdiction. (2) Upon request of the association, provide it with a statement of the net direct written premiums of each member insurer. (3) Begin an examination of a member insurer within thirty (30) days of receipt of a request by the association for such examination pursuant to section 1803(c)(5). The expenses of any such examination shall be paid by the association. (1) Require that the association notify the insureds of the insolvent insurer and any other interested parties of the determination of insolvency and of their rights under this article. Such notification shall be by mail at their last known address and by publication in such newspapers of general circulation as the commissioner shall specify. (ii) otherwise fails to comply with the plan of operation. The penalty levied hereunder for failure to pay an assessment when due shall be not less than one hundred ($100) dollars per month nor more than five per centum (5%) of such unpaid assessment per month. The penalty for otherwise failing to comply with the plan of operation shall be not less than one hundred ($100) dollars nor more than one thousand ($1,000) dollars per month for each month that such insurer continues after notice having been given to fail to comply with the plan of operation. (3) Revoke the approval of any servicing facility designated pursuant to section 1803(b)(6) if he finds that claims are not being handled satisfactorily. All hearings held by and all orders and decisions made by the commissioner pursuant to this article shall be subject to the provisions of 2 Pa.C.S. (relating to administrative law and procedure), including the provisions in that title for judicial review. The powers and duties of the commissioner as set forth in this article are in addition to and not in limitation of any other powers and duties of the commissioner as prescribed by law. 1994, Dec 12, P.L. 1005, No. 137, §1. Notice of claims to the receiver or liquidator of the insolvent insurer shall be deemed notice to the association or its agent, and a list of such claims shall be periodically submitted to the association or similar organization in another state by the receiver or liquidator. (a) Any person recovering from the association under this article shall be deemed to have assigned his rights under the policy to the association to the extent of his recovery from the association. Every insured or claimant seeking the protection of this article shall cooperate with the association to the same extent as such person would have been required by the policy under which the claim arises to cooperate with the insolvent insurer. The association shall have no cause of action against the insured of the insolvent insurer for any sums it has paid out except such causes of action as the insolvent insurer would have had if such sums had been paid by the insolvent insurer. In the case of an insolvent insurer operating on a plan with assessment liability, payments of claims by the association shall not operate to reduce the liability of insureds to the receiver or liquidator for unpaid assessments. (c) The receiver or liquidator of an insolvent insurer shall be bound by settlements of covered claims by the association or a similar organization in another state. The court having jurisdiction shall grant such claims priority equal to that which the claimant would have been entitled in the absence of this article against the assets of the insolvent insurer. The expenses of the association or similar organization in another state in handling claims shall be accorded the same priority as the expenses of the receiver or liquidator. (a) Any person having a claim under an insurance policy shall be required to exhaust first his right under such policy. For purposes of this section, a claim under an insurance policy shall include a claim under any kind of insurance, whether it is a first-party or third-party claim, and shall include, without limitation, accident and health insurance, worker's compensation, Blue Cross and Blue Shield and all other coverages except for policies of an insolvent insurer. Any amount payable on a covered claim under this act shall be reduced by the amount of any recovery under other insurance. (b) Any person having a claim which may be recovered under more than one insurance guaranty association or its equivalent shall exhaust first his right of recovery from the association of the place of residence of the insured. Any amount payable on a covered claim under this act shall be reduced by the amount of recovery from any other insurance guaranty association or its equivalent. There shall be no liability on the part of and no cause of action of any nature shall arise against any member insurer, the association or its agents or employes, the board of directors or the commissioner or his representatives for any action taken by any of them in the performance of their respective powers and duties under this article. (a) All proceedings in which the insolvent insurer is party or is obligated to defend a party in any court in this Commonwealth shall be stayed for ninety (90) days from the date the insolvency is determined to permit proper defense by the association of all pending causes of action. (b) As to any covered claims arising from a judgment under any decision, verdict or finding based on the default of the insolvent insurer or its failure to defend an insured, the association, either on its own behalf or on behalf of such insured, may apply to have such judgment, order, decision, verdict or finding set aside by the same court that made such judgment, order, decision, verdict or finding and shall be permitted to defend against such claim on the merits. No member insurer shall, directly or indirectly, make, publish or place before the public in a newspaper or other publication or in the form of a notice, circular, pamphlet, letter or poster or over any radio or television station or in any other way an advertisement, announcement or statement of any sort containing any reference to the coverage of the association.